When Liverpool’s owners sat in front of the live cameras last night they knew they’d get questions about the manager, and they knew they’d not be able to answer them the way the supporters wanted them to. 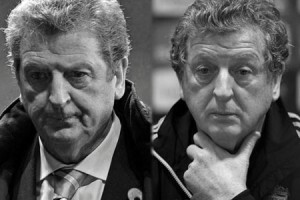 Whatever they plan to do with Roy Hodgson they’ll not talk about sacking him unless it’s already been done; they’ll not speak about any replacement they might have lined up until that replacement has signed his contract and started the job. This meant they had to answer the questions by playing down Hodgson’s role in the worst start to a season in many a year. Chairman Tom Werner chose to give Roy the excuse that he’s not had enough time to turn things round: “We feel like we just got here, Roy got here shortly before us. Nobody, least of all Roy, was happy about our performance last weekend,” Werner said. They knew the question was coming, so perhaps the answer had been discussed before the programme went out on air. But despite all Tom Werner’s years in the TV business he fluffed his lines and had to be corrected by John Henry, his fellow owner. Werner remembered: “On the road,” he said. Henry tried to clarify it further but the impact had clearly been lost: “On the road in the last half we won only one of our last nine,” remembered the principal owner. Liverpool’s awful final league position last season, seventh, was claimed by members of the management team to be a major reason for seeking the “mutual consent” from Rafa to end his contract. They must have expected his replacement to do better with the resources on offer, otherwise why go to such lengths (at such cost) to make the change? But Roy hasn’t come close to doing any better, quite the opposite. With the owners trying to defend Roy by referring to the last nine away games before he arrived it’s a good time to see how he well he’s done in comparison – Roy’s also taken charge of nine away league fixtures this season. The last nine aways last season saw Liverpool win just once and draw five times. Their three defeats included trips to Old Trafford and The Emirates and none of the defeats were by more than a single goal margin. This season Liverpool have also won just one of the nine away games, with two draws. The worries come from the number of defeats – the Reds have lost six out of those nine away games. Three of Roy’s defeats were by a two-goal margin, another by a three-goal margin. On away matches it’s clear that Roy has made things far worse but rather than continuing comparisons with the last manager it is perhaps better to concentrate on what Roy has done himself. As well as his poor away record (one he brought with him) he’s overseen eight league games at Anfield so far and has actually managed to win the last four, including victory over champions Chelsea, five wins out of eight overall. On the face of it that’s a home record on the verge of being impressive – but is it slightly misleading? It started well, Arsenal were the visitors for the first game of the season and although the Reds were down to ten for the whole second half (thanks to Joe Cole’s red card) Liverpool were close to taking the three points. It was only an uncharacteristic mistake from Reina that gave Arsenal their point. Liverpool’s football was hardly exciting, particularly in the second half, but with a one goal lead and the side a man short it was hardly a surprise. Next time at Anfield the Reds were quite lucky to get three points. Poor finishing from newly-promoted West Brom meant Liverpool’s only goal was enough to win it, but the Reds created very little. They’d gone into that game on the back of a horrible 3-0 defeat to Manchester City and by the time they played their next league game at home they’d lost at Old Trafford and gone out of the league cup to “formidable” (Roy’s description) Northampton. A 2-2 draw against Sunderland was a disappointment, but no surprise. Next came one of the real low points of the season – losing at home to newly-promoted and under-funded Blackpool. With all due respect and credit to Ian Holloway’s side, it was an out and out embarrassment. But then came the pantomime of the takeover end game and a two-week break for the Reds, meaning that particular defeat went to the back of supporters’ minds. Memories were jogged at Goodison however when a side that should have been buoyant at the good news from the boardroom played like they’d just been told a merger with their hosts was on the cards. After that came the run of home wins, but where Blackburn should have been an easy three points it was very much a nervy three points. A win over Chelsea was a massive boost to morale, but without wishing to take anything away from the side for the win it turns out it was also the start of a bad run for Chelsea. Then came two successive 3-0 wins, and although the old saying about only being able to beat what’s in front of you springs to mind it was naive of anyone to suggest those wins represented the start of any major change in Liverpool’s season. The first was against a West Ham side so poor that Liverpool should ask themselves why it only ended 3-0, which was also the half-time scoreline. The second was against an Aston Villa side so poor their fans have asked their boss – who seemed more interested in telling the world how much good he’d done for Liverpool than winning for his new club – why he said he didn’t mind losing to the Reds. For those who are still pretending Roy is the right manager for this club it’s time they stopped. He isn’t right, he never was, he never will be. Stop the make-believe. The new owners are nice enough people, so it seems, although chances are they know precious little about football. But, unless they’re relying on advisors who haven’t the guts to be honest with them, they must know just how unlike a Liverpool manager Roy Hodgson really is and how unlike Liverpool supporters it is to be so vocal about their desire to see a change of manager. In private they need to get a move on with finding a replacement. Then they can say nice things in the announcement of Roy’s departure and supporters can start to feel they really are getting their club back again. That’s what we fought for. Don’t worry Jim your beloved Rafa will very soon be available again after he is sacked for gross incompetence having destroyed the Champions of Europe. Maybe you can start your petition now to bring Rafa back. In what way has he ‘destroyed’ Inter?? They have a massive injury list and brought in no new players to speak of last close season. They started the season well and a recent dip in form coincided with injuries to several key players. No club in any major European league has ever won 6 back to back titles, so for Inter to win it this year would be a massive first. They are in ko phase of champions league and got there just as comfortably as they did under Mourinho. So what’s the big deal? So ‘gross incompetence’ is (as usual) way over the top – but of course it is what is to be expected where criticism of Benitez is concerned. I suppose his record in his first 5 years at Anfield was gross incompetence too? We were in contention for 4th more or less to the end last season and finished up a disappointing 7th – so “not good enough” we cry. Roy has got the same group of players and we have never even been as high as 7th this season. So if Benitez is grossly incompetent how does Roy rate? You seem to be very concerned about Inter, but not at all bothered about Liverpool. Strange. Since his appointment, I have thought roy was not a good appointment. I was also a big rafa fan. However, if you look at the points we picked up last year from the same (best equivalent) fixtures last season, we would be on 24 points. Having looked at this i think roy deserves a little more time to prove he is or is not up to the task.